Solid oak Arts & Crafts box, Austria, circa 1910. 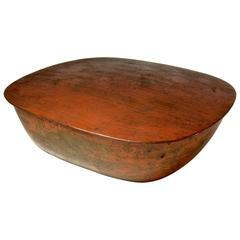 About: A wooden box from the Arts & Crafts period, Made in Austria. A very special item with decorative hand painted decor. Definitely one of a kind. 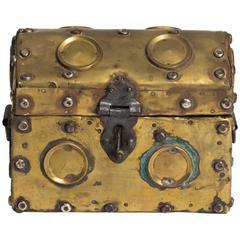 Arts & Crafts era studded brass box.